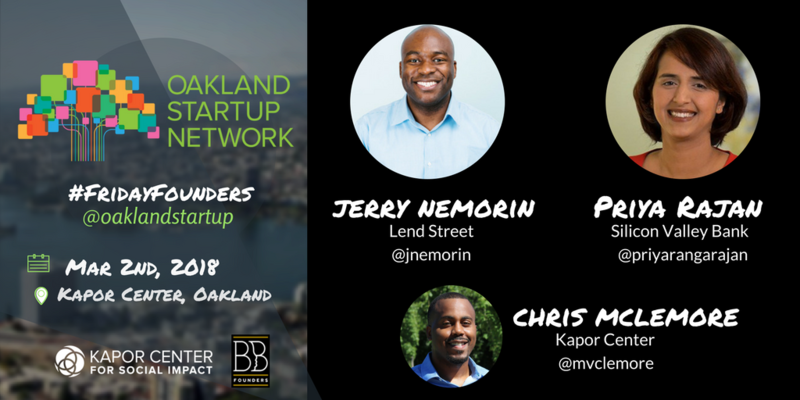 Our First Friday in March is centered around FinTech, and we are excited to discuss current and future innovations in the space for entrepreneurs in Oakland. The guest panel will feature Jerry Nemorin (CEO and Founder of Lend Street) and Priya Rajan (Director of Early Stage Practice at Silicon Valley Bank) as they dive deep into Fintech, why it matters, and financial management tools/tips for startups. You’ll have the opportunity to meet other current and aspiring founders of color, potential future team members, and even potential investors. 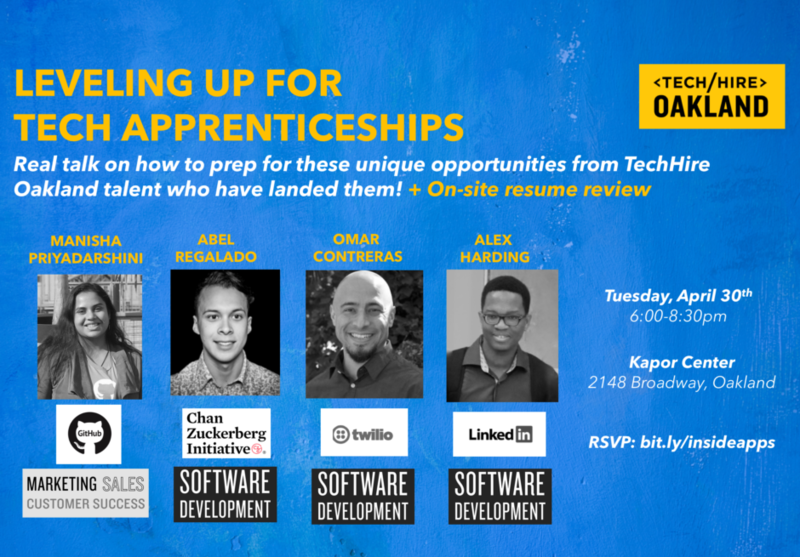 Join us for food & drinks as we demystify entrepreneurship alongside inspiring, successful founders. Jerry co-founded Lend Street Financial, Inc. in 2010 and serves as its Chief Executive Officer. Mr. Nemorin is responsible for developing the strategic direction and overseeing the operations of LendStreet. Prior to founding LendStreet, he worked at Bank of America Merrill Lynch in its Global Corporate & Investing Banking division, helping major companies restructure their debt during the financial crisis and raise money from the high yield debt market. He served as Entrepreneur-in-Residence at the Darden School of Business Incubator. He is a speaker, guest, and advocate for responsible lending and sustainable financial services on Capitol Hill and industry events such as Finovate, SWIFT Innotribe Competition, Experian’s Vision Conference and Credit Suisse Impact Investing Conference. He began his career in Tyco’s Treasury group. Mr. Nemorin received a B.S. in Finance and Exercise & Sports Science from the University of Florida and an M.B.A. from the Darden Graduate School of Business Administration at the University of Virginia. Priya is Director or Early Stage Practice exclusively focused on the innovation sector and engages with founders as they start their journey to build a company. Silicon Valley Bank works with more than 50 percent of the venture capital-backed companies in the US and increasingly has a global focus (with offices in the UK, China, Israel, and Ireland; as well as partnerships in Australia, Turkey, Latin America and Western Europe). As a part of Early Stage team, Priya leads community engagement initiatives including D&I&R entrepreneurship groups and Universities across the globe and mentors entrepreneurs as they dream, build, and inspire to disrupt the status quo. Prior to joining SVB, she held financial management roles for 10+ years at various institutions including Charles Schwab. She has an MBA from Cornell University and a California CPA. She also serves on the board of Big Brothers Big Sisters and WomenWhoCode. DOORS OPEN AT 530PM & CLOSE AT 7PM.